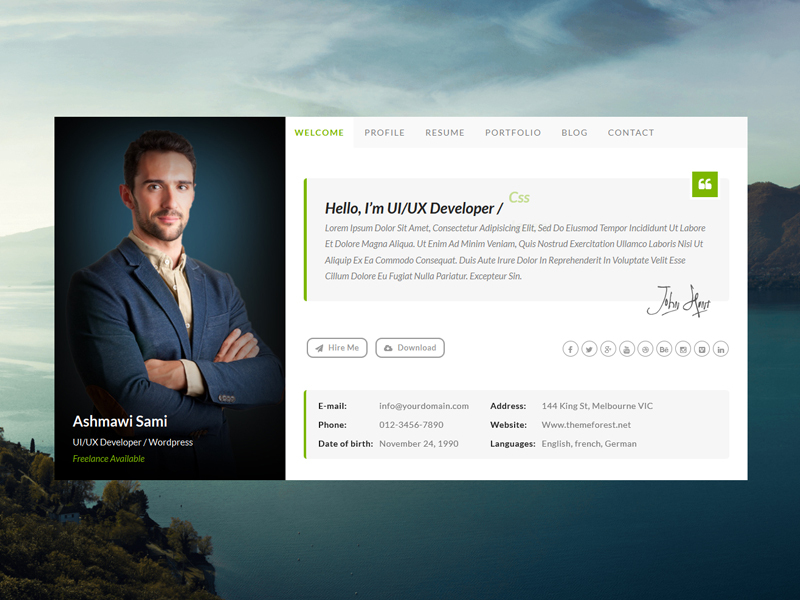 Riche vCard is a modern, exclusive and flat theme. It’s a vCard / cv / resume and portfolio focused on digital professionals, whether designers, programmers or photographers. It is perfect to promote your work! Copyright © 2013 - 2019 Ashmawi. All rights reserved.